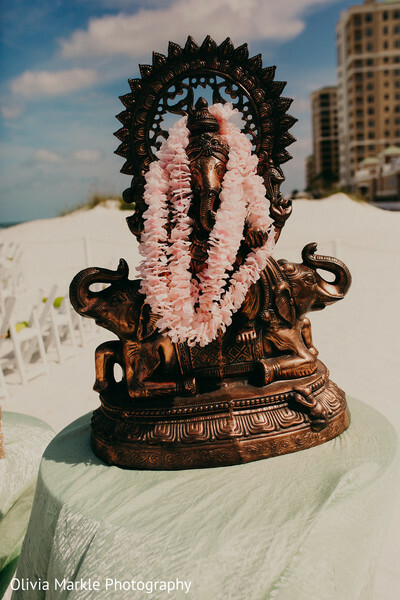 Welcome back, loves! 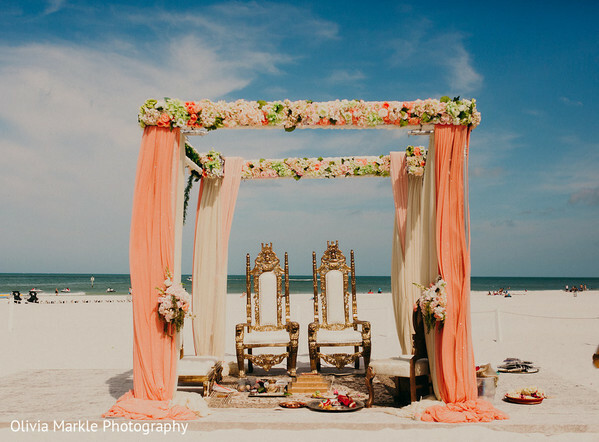 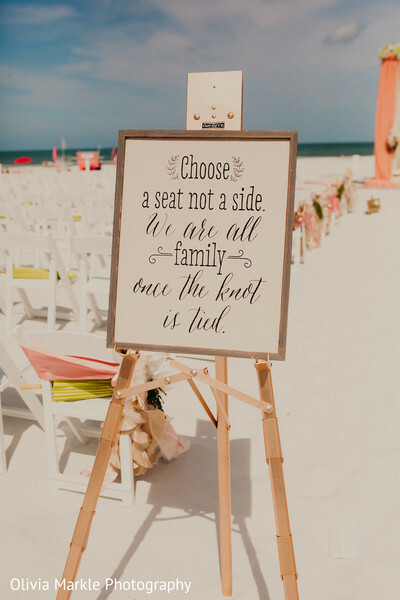 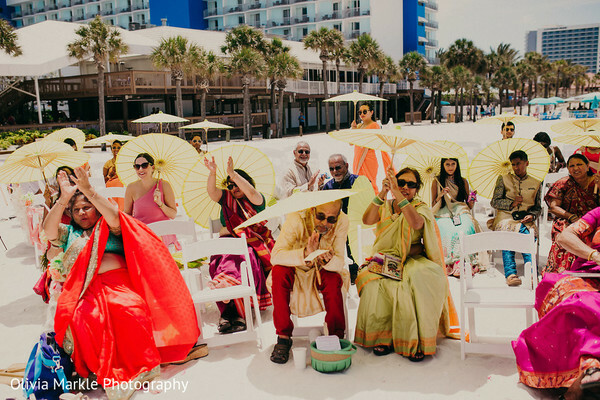 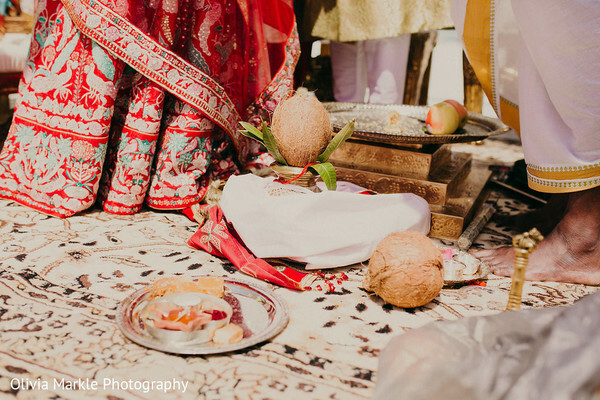 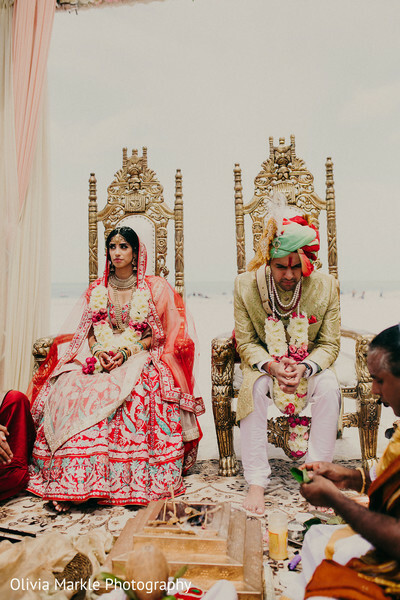 We return to the beachside grounds of the Hilton Clearwater Beach Resort & Spa which housed the numerous events for Nupur and Digvy’s multi day wedding celebrations. 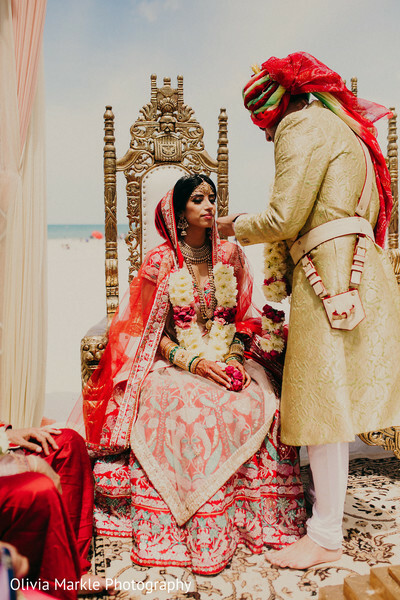 The ceremony began with the bride getting dolled up, and she was an absolute vision of beauty as Sana Rehman provided her with astonishing hair and makeup treatment. 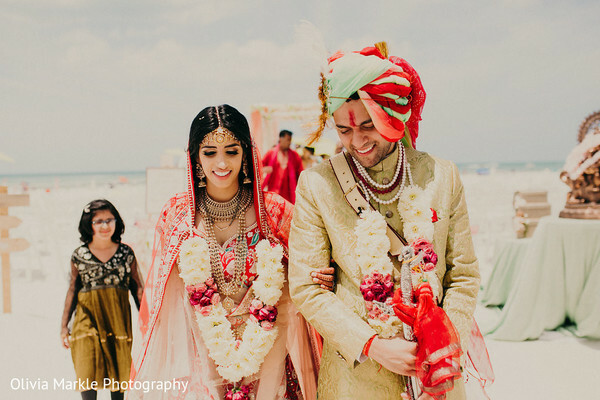 Nupur donned a traditional yet fashion forward Indian bridal lehenga with bold, red lips and an elegant updo. 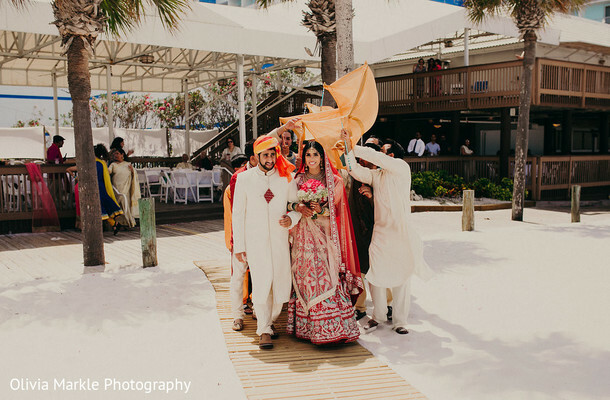 She was a showstopper as she made her way across the white sands to her elegant peach mandap designed by Dreams To Reality. 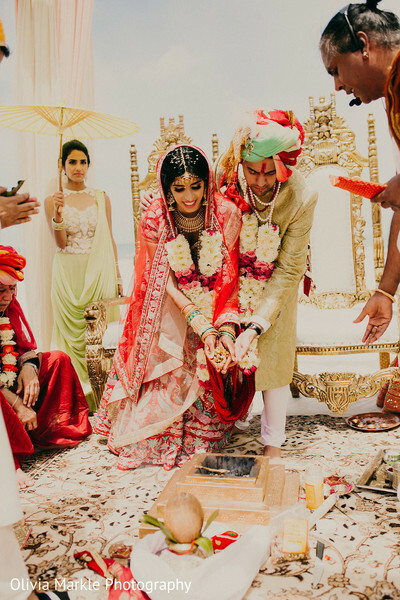 Digvy stood proudly at the altar looking as dapper as could be in a champagne sherwani. 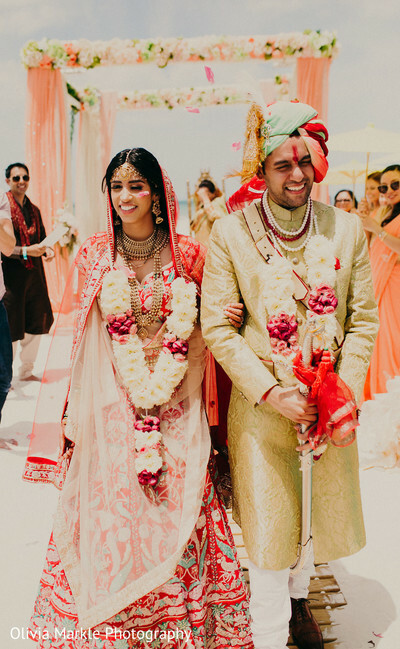 After emotional vows, the couple bounced from the stage, eager to get the party started at their dazzling reception soiree. 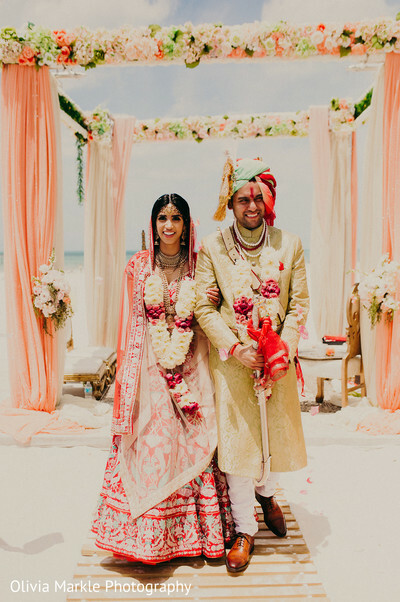 With the DJ team from Dhol Beat International and with Dreams To Reality working overtime to infuse the ballroom with sparkling charm, guests were in for the event of a lifetime. 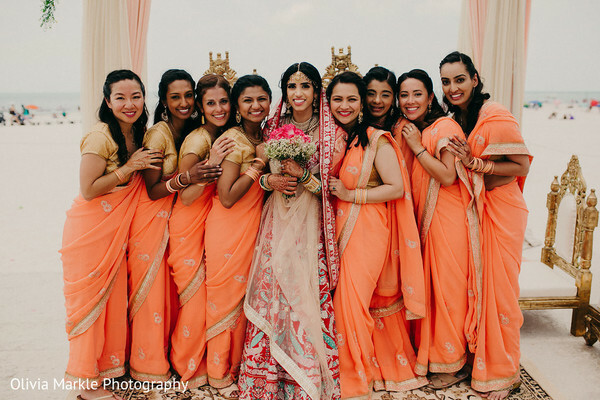 Hurry back for all the delightful photos from this elegant soiree. 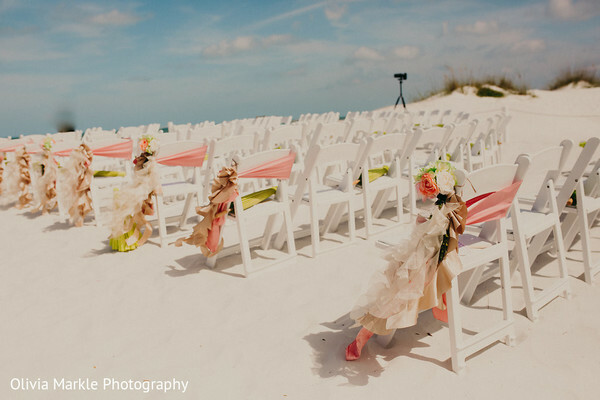 While you wait, head to the full gallery by Olivia Markle Photography for all the lovely photos!